The Dodo: Extinction in Paradise explores the science and the mythology, the history, archaeology, and legend, as well as the dodo's place in art and literature. Author: Errol Fuller is a fantastic writer and painter who has written on art and the curiosities of natural history. 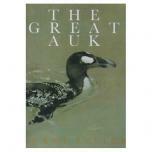 Author of the seminal Extinct Birds, he has written numerous other books including The Great Auk, Dodo from Extinction to Icon, and two on birds of paradise (including one with Sir David Attenborough). Throughout his life Errol has built a private collection, which we think is one of the best in the world! His paintings often depict snooker, boxing or other slightly disreputable sports.